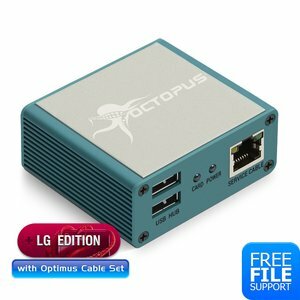 Octopus Box LG with cables lets you perform Flash/Unlock/Repair operations with LG cell phones using Octopus Box service tool. 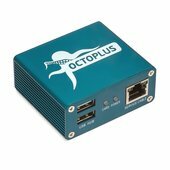 At the moment Octopus Box is one of the most updatable and functional Flash/Unlock/Repair solutions for LG cell phones available on the market. It features a wide range of service operations for most of LG cell phones, has a multilingual software interface and lots of additional functions, available for various mobile operating systems.